Mode Moderne arrived on the scene with their debut album Ghosts Emerging in 2009 to mixed reviews, but certainly made a name. Their follow-up project is a 7 track EP entitled Strange Bruises that showcases a talented band on the rise. Although they are definitely classified as pop rock, talent has not been compromised to achieve popularity. 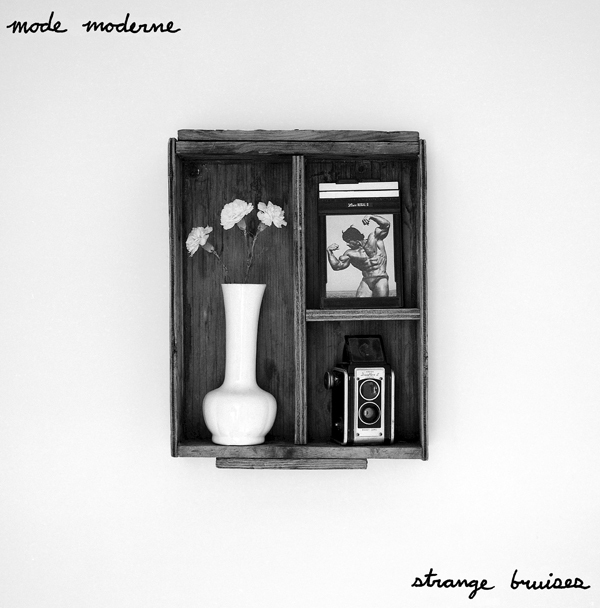 With the release of this short album, Mode Moderne becomes evocative of bands like The Cure and Depeche Mode in sound. The feel is quite gothic, but not overwhelmingly depressing. The lyrics border along the edge of satirical and emo, which brings a light optimism to the listener. The guitar reverb/echo is very reminiscent of 80’s style pop rock, resulting in frequent flashbacks to rolled-up sport-coat sleeves, and chest hair coming out of a button down. The Production value of Strange Bruises is very high, and their music is very involved. Picking apart the different instruments and voices becomes a task even with studio headphones. Mode Moderne’s main producer Felix Fung worked hard, to eliminate any aspects that distort the sound, leaving an intricate finished product worthy of the public’s ear. They also didn’t shy away from heavy bass lead tracks that so often Pop Rock tends to do, while the distant yet strong voice of Phillip Intile soothes and creates a feeling of nostalgia. Strange Bruises is an excellent addition to the ever-growing music scene, a strange and peculiar addition at that, but very much in necessity for a genre whose music has increasingly showed a lack of quality. Mode Moderne has continued to hone their craft and are emerging on the music scene in force. Changing the boundaries as a trendsetter, not a trend follower. Hopefully, the Pop music industry will follow suit.